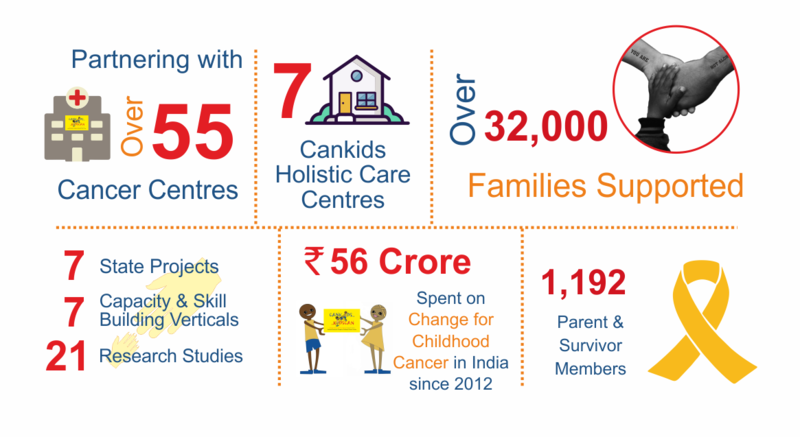 ​CanKids…KidsCan is a not-for-profit National Society, dedicated to a Change for Childhood Cancer in India. We enable best standards of treatment, care and support for children with cancer and their families from moment of diagnosis, through treatment and after into survivorship, or relapse, palliation and bereavement. We partner with treating cancer centers, national and international organizations and State Governments to provide support to families, build capacities, promote quality care, research and impact and facilitate stakeholder engagement and patient, family and civil society engagement. ​Through the Go Gold India campaign we advocate for childhood cancer to be a child health priority in India. ​Childhood is a time of wishes, desires & dreams of endless possibilities. But for children faced with cancer it is a battle for and with life. They deserve the best possible treatment (to deal with the illness), care (support with the social and psychological impact of the illness) and assistance to reintegrate back into society. ​1. Childhood Cancer is rare. It accounts for 3-4% of all cancers. But every 3 minutes a child is diagnosed with cancer somewhere in the world. There are 16 different types of Childhood Cancer. 2. Worldwide incidence of childhood cancer is 300,000 each year, of which 70-80,000 (26%) are in India. ​3. Childhood Cancers are considered from 0-19 years of age. A new born baby can be born with cancer. For each child who survives cancer, on average, 71 yrs of life is saved. 4. In developed countries 70-90% of childhood cancer is curable because of better response to the treatment and protocols, But in India 40-60% of affected Children still die of Cancer. 5. 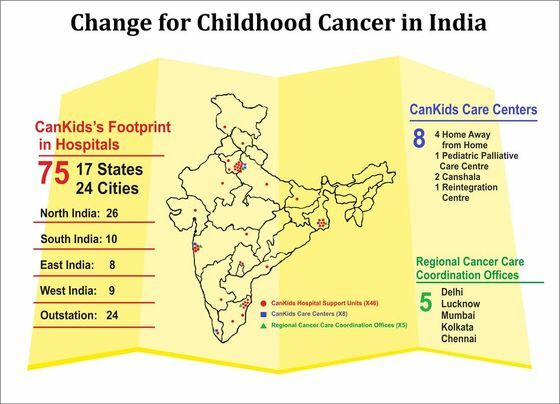 60% of children in India who may have cancer never make it to a cancer center. Low treatment & survival rates are due to lack of awareness, stigma, poor access to care, high cost of treatment, and lack of infrastructure, health professionals, good protocols, quality drugs, diagnostics & supportive care. ​To enable Global Standards of Survival, between 70-95%, for childhood cancer in India. To ensure Quality of Life and Holistic Care for the child with cancer and his family through his cancer journey. To secure the Rights of health impaired children with cancer to Health, Education, their Childhood, Pain & Palliaitve care and the Right to be Heard. ​To partner with doctors, treating centers & Government, work with volunteers and advisors. It is supported by generous individuals, foundations and corporate bodies all over the world. It works & networks with professionals and organizations in India & abroad. ​To run a P3SG parent group & a KCK survivor group who are patient navigators, advocates and Childhood Cancer Ambassadors and ensure sustainability for the cause. It currently has 1192 members. ​To provide information to families, create awareness, access to care and advocate to treating teams, Hospital Admin, Professional bodies, State & Central Government and Civil Society through campaigns like Go Gold India, I Deserve, I Pledge and 8 Reasons 8 Demands. 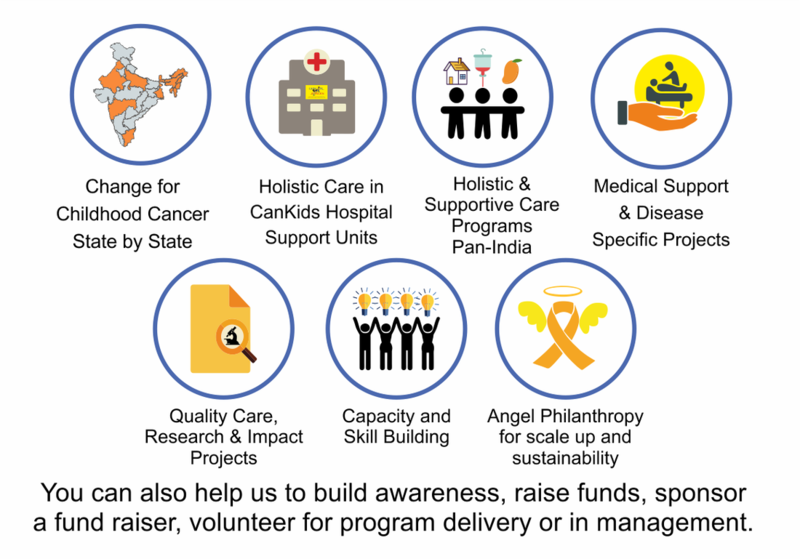 ​To build a cadre of committed pediatric oncology medical & social support professionals as well as parents and survivors across India, ranging from individuals, organizations, hospitals & other stakeholders through 7 defined verticals of intervention. 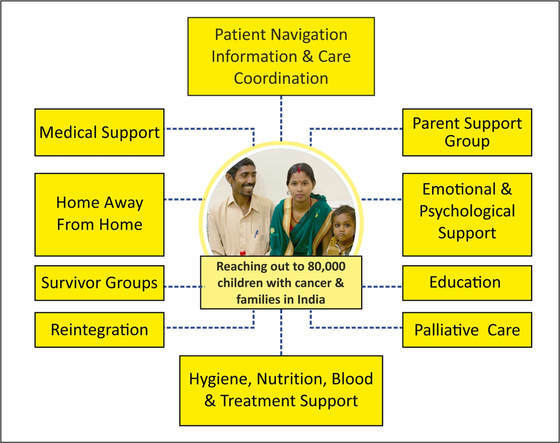 ​To ensure quality patient navigation and care in the pediatric oncology domain in India, conduct studies, encourage and sponsor research for pediatric oncology, to promote and itself evaluate service and assess impact.